Today I'm working on a dresser / chest of drawers for my husband, so I have full license to play with different painting and distressing techniques! 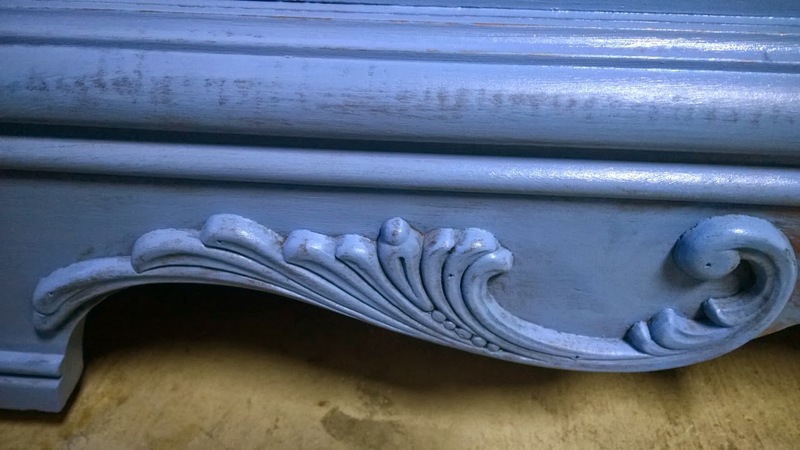 So far I've done a few coats of Annie Sloan Chalk Paint in Greek Blue, and will be following with a wash of ASCP Olive to antique, then sanding to distress. So this leads to the topic at hand - how do you make something look like it was naturally antiqued? Carefully, and thoughtfully. 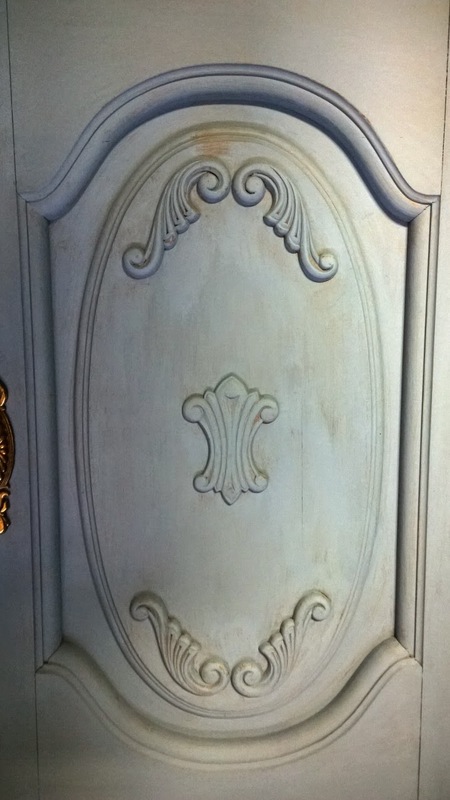 There are two major ways to create a distressed, perfectly imperfect finish. 1) Use a light touch, with a non-saturated paint brush, and don't press into all of the nooks and crannies. That's what I've done here. Lovely, right? This leaves some spots unpainted at the BASE of your detail work. 2) Use a sanding block or sponge (I usually use a fine grit (120 +), unless I am doing something super distressed. Then I would start with a more coarse grit, and finish with a fine grit). 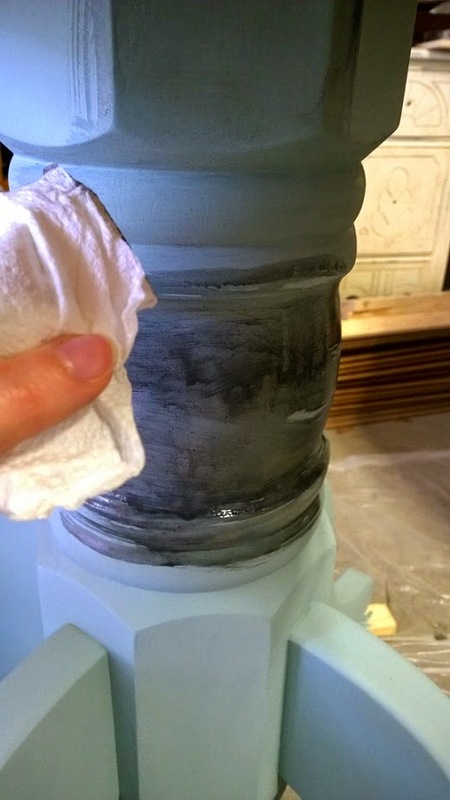 This will take away paint at the HIGH points of your piece. 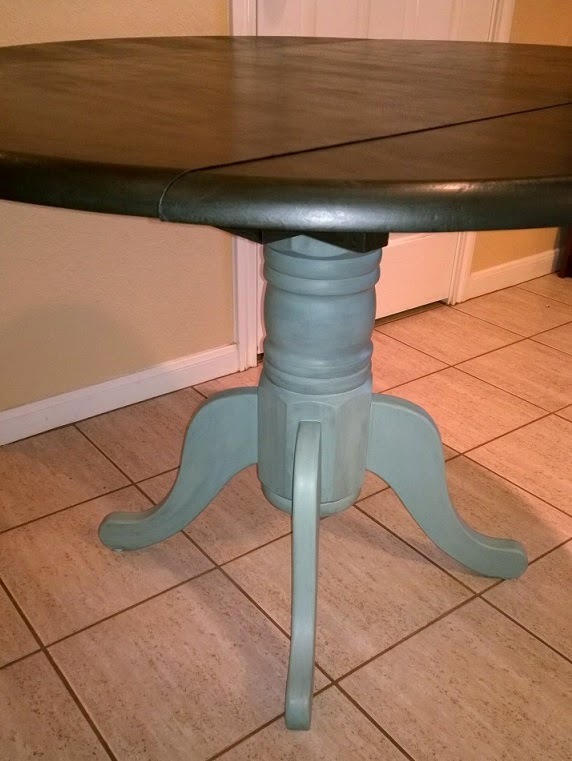 Since this isn't fully dry yet, here's a photo from a different project with high point distressing. 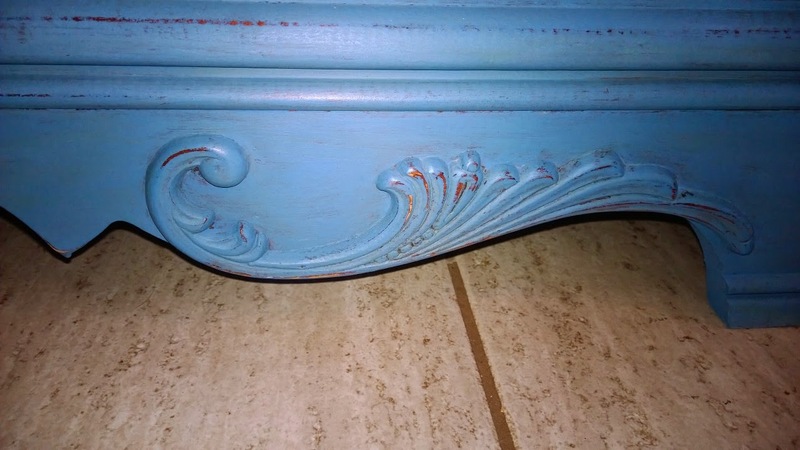 For this dresser, I'll be using a combination of the two techniques, as well as applying a sheer wash of Olive (diluting the paint with water, painting, and wiping away the excess - like I did on this pedestal table). This will leave a gorgeous, time-loved finish that will look like it's been lovingly handed down over the generations. 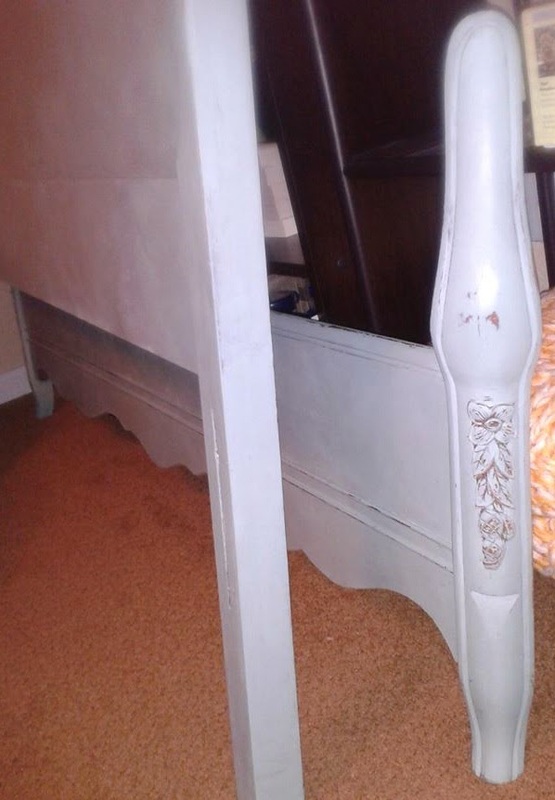 Before and after photos from this week's dresser refinish coming soon!